The University welcomes complaints as an avenue for continuous improvement and to assist us in creating and maintaining a safe, positive and harmonious learning and work environment for our students and staff. A complaint is any expression of dissatisfaction about the University, a student or a staff member, where a response or resolution is explicitly or implicitly expected. policies, procedures, legislation, statutes, bylaws or rules not being followed. Complaints can be formal or informal. 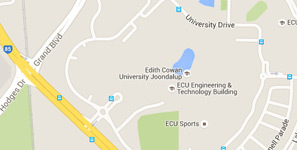 ECU is committed to ensuring matters of dispute between students and the University are resolved fairly and promptly. Strategic and Governance Services Centre will provide information, for both students and staff, on what students can do if they have a concern or complaint about our services or administrative practices, including the steps that can be taken to resolve the concern or complaint. Staff are encouraged to resolve concerns related to a work matter or the working environment at the local level. If this is not possible or desirable staff may contact Human Resource Services Centre for assistance. ECU takes complaints seriously. The University will endeavour to ensure that your complaint is managed in a professional manner and aims to resolve all complaints in a timely manner. The ECU PID Guidelines provide more information about how, to who and when you may make a Public Interest Disclosure.